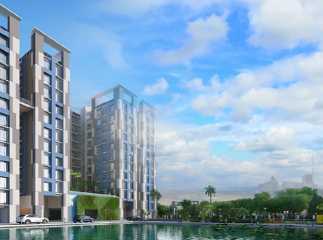 Dum Dum Road is one of the most demanded residential hubs in Kolkata. A number of residential projects have come up in the region in the last few years, developed by prominent real-estate developers. Evidently, property in Dumdum Road has been in great demand, due to its proximity to the airport, railways and all the important parts of the city. 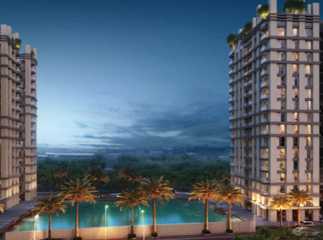 If you are willing to acquire an apartment in the residential complexes in Dumdum Road, you must make the investment now. A number of families have already shifted to these residential spaces, and the craze for property in the region is increasing over the years. 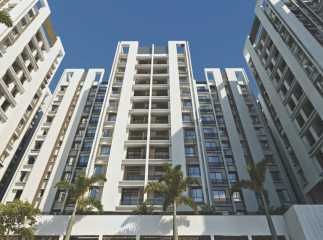 The prices of properties in Dumdum Road are increasing, and several investors and homeowners are inclined in buying apartments in the area. The social infrastructure in Dumdum Road is refined, with a number of restaurants, bars, shopping malls, multiplexes and places of entertainment around. The well-developed transportation system and fast connectivity to the important commercial areas in Kolkata makes the projects in Dumdum Road one of the busiest hubs for investors and homeowners. As the prices of apartments in the area are rising, investors can get good returns from the property. A number of schools and hospitals are located close to the plots in Dumdum Road. The important schools in the region include North Kolkata Public High School, Calcutta Public School, Christ Church Girls High School, and Auxilium Convent School. You can also seek higher educational facilities in the University of Calcutta, Rabindra Bharati University, and Jadavpur University, all of which can be reached within an hour from the residential area. When you move to the flats in Dumdum Road, you will get easy connectivity to a number of hospitals, including Speed Age Hospital & Nursing Home, ILS Hospitals, Daffodil Hospital, Disha Eye Hospital, ASG Eye Hospital, JB Roy State Ayurvedic Medical College and Hospital, Sanjeevani Hospital, Bidhan Nagar Sub Divisional Hospital, and Renaissance Hospital. The important commercial zones of Kolkata, located at Esplanade, Park Street, B.B.D. Bag, and other areas can be reached easily through the roadways, suburban railways and metro railways. The major stations at Howrah and Shealdah can be reached within one hour from Dumdum Road. The apartments in Dumdum Road come with well-furnished interiors, with all the amenities you would expect to make your life comfortable. Spacious interiors, intelligent floor planning and large open spaces and green zones within the residential complex brings you a beautiful ambience to cherish your life. The residential estates remain under high security, with CCTV cameras scanning the area 24/7. You can enjoy various fitness and entertainment facilities in the area. This includes swimming pool, gym, jogging tracks, cycling tracks, tennis courts, and various indoor games. You can also enjoy your time in the clubhouse. Children have dedicated play areas within the complex. 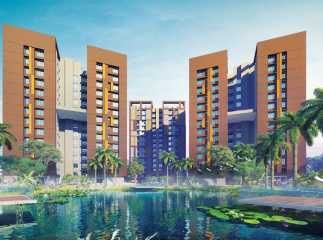 For investors and home owners, this is the right time to invest in the property in Dumdum Road Kolkata. The prices of apartments are rising, and you can strike a good deal now. Enjoy a luxurious and comfortable life in the apartments on Dumdum Road.